The United States faced sharp criticism Wednesday at the UN Security Council over its decision to recognize occupied Golan Heights as Israeli territory, which big powers denounced as a violation of UN resolutions. 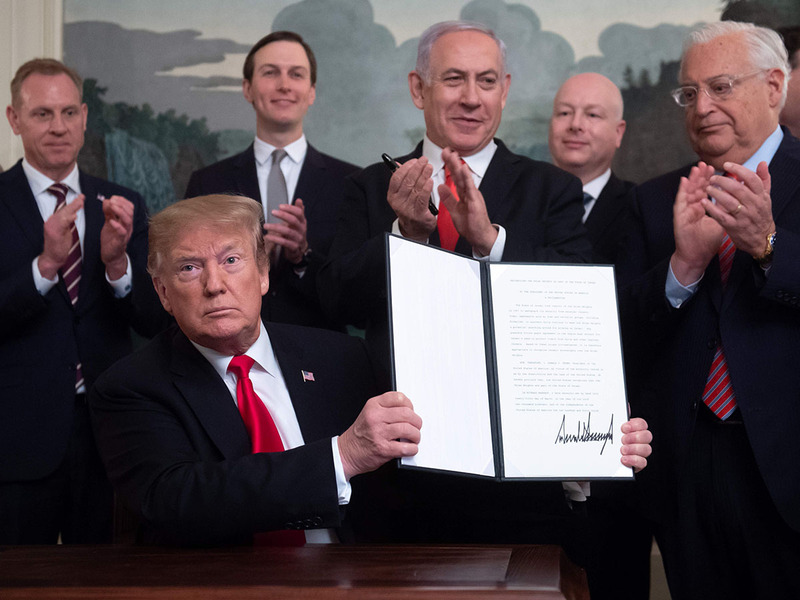 President Donald Trump signed a proclamation Monday in which the United States recognized Israel’s annexation of the strategic plateau that it seized in 1967 and annexed in 1981. France warned that any attempt to turn away from international law was “doomed to fail” as the United States prepares to unveil its Middle East peace proposals. “If anybody feels any temptation to follow this poor example, we would urge them to refrain from this aggressive revision of international law,” said Russian Deputy Ambassador Vladimir Safronkov. The council was meeting at the request of Syria, which in a letter to the council called the US decision a “flagrant violation” of UN resolutions. Three Security Council resolutions call on Israel to withdraw from the Golan, which it seized from Syria in the 1967 Six-Day War and annexed, in a move that was not recognized internationally. To allow the Golan to be controlled by Syria “would turn a blind eye to the threats emanating” from Damascus and from Iran and its Hezbollah allies that want to use the Golan to attack Israel, said US diplomat Rodney Hunter.